Lake Victoria, Serengeti, Ngorongoro, Tarangire, Masai villages. A fourteen day exploration from the largest lake in the world, through the Serengeti and Ngorongoro ecosystem, east towards the Tarangire, canoeing, game viewing, walking safaris and remote Masai villages and night drives. Steve Powell and fellow master wildlife artist Steve Morvell are in the planning stage for a 2012 Artist Guided African adventure. This is an opportunity to experience Africa with a group of like minded fellow travelers. 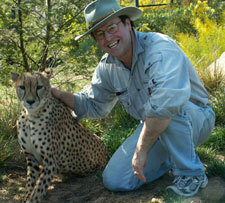 Your African Wildlife Art safari guided by wildlife artists – photographers eager to share their knowledge and skills. Learn the art of sketching animals direct from life, in the field with Steve Morvell as your guide. He is a master of the art with decades of experience creating thousands of stunning images. This entry was posted in Africa, African Safari, Kruger, Makalali, South Africa, Tanzania, Wildlife Artist and tagged Africa, elephants, giraffe, hippo, hornbill, Lake Victoria, lion, Masai villages, Ngorongoro, Photography, Safari, Serengeti, Tarangire, Wildlife Art. Bookmark the permalink.